The hilarious fun continues with thousands of new and outrageous comparisons. Just mix these cards into your "Apples to Apples" card set, and you're ready to play. 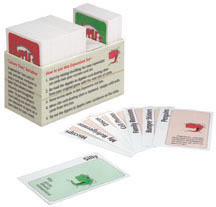 Other products in the "Apples to Apples" series.